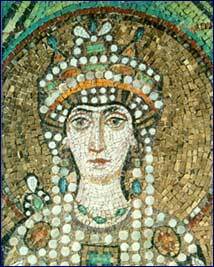 Detail image of Empress Theodora, wife of Justinian. Courtesy of Jay King. Used with permission. The image above is from the collection, Roman History, Coins, and Technology Back Pages at San José State University, D-Lib Magazine's featured collection this month. IEEE Advances in Digital Libraries: ADL'2000, 22 - 24 May 2000, Washington, D.C., USA. Call for papers. Deadline for submission is 20 December 1999. Internet Archive Colloquium 2000, 8 - 9 March 2000, San Francisco, California, USA. Call for participation: the deadline for papers has been extended to 21 December 1999, and attendence is limited to 30 - 40 people. CAIS 2000: 28th Annual Conference of the Canadian Association for Information Science, 28 - 30 May 2000, Edmonton, Alberta, Canada. Call for papers: the deadline for submission is 3 January 2000. LITA National Forum 2000: High Tech/High Touch: The Human Aspects of Technology, 3 - 5 November 2000, Portland, Oregon, USA. Call for papers; the deadline for submission is 7 January 2000. SIGIR 2000, 24 - 28 July 2000, Athens, Greece. Call for papers; the deadline for submission is 14 January 2000. CRIDALA 2000 (Centre for Research on Distance & Adult Learning), 21 - 24 June 2000, Homantin, Kowloon, Hong Kong. Call for papers; the deadline for submission is 14 January 2000. ALA Annual Conference 2000: Libraries Building Community and Building a Worldwide Library Community, 6 - 13 July 2000, Chicago, Illinois, USA. Call for papers; the submission deadline is 15 January 2000. Fourth World Conference on Continuing Professional Education for the Library and Information Professions, 15 - 17 August 2001, Chester, Vermont, USA. Call for papers; abstract submission is due 15 January 2000. DIMACS Workshop: On the Management of Digital IP, 17 - 18 April 2000, Rutgers, New Jersey, USA. Call for participation; deadline for submitted papers is 17 January 2000. C.I.R. 2000: The Challenge of Image Retrieval, 4 - 5 May 2000, Brighton, United Kingdom. Call for papers; the deadline for submission is 21 January 2000. ACM SIGCOMM 2000: Applications, Technologies, Architectures and Protocols for Computer Communications, 28 August - 1 September 2000, Stockholm, Sweden. Call for papers; the deadline for submission is 28 January 2000. CaTaC 2000: Cultural collisions and creative interferences in the global village, 12 - 15 July 2000, Perth, Australia. Call for papers; the submission deadline for papers is 31 January 2000. 5th Joint Technical Symposium (JTS) Paris 2000, 19 - 22 January 2000, Paris, France. Deadline for registration: 20 December 1999. Discussion on Digital Archiving of Electronic Journals, with Rebecca Graham of the Digital Library Federation, 16 January 2000, San Antonio, Texas, USA. 10th VALA Biennial Conference, Books and Bytes: Technologies for the Hybrid Library, 16 - 18 February 2000, Melbourne, Australia. Music Library Association Meeting, 23 - 26 February 2000, Louisville, Kentucky, USA. Lake of the Woods Summer Institute for Advanced Studies (LWSIA), Spring Session, 12 - 31 May 2000, Sioux Narrows, Canada. Deadline for registration is 1 March 2000. Digitization for Cultural Heritage Professionals, a Humanities Advanced Technology and Information Institute (HATII) course, 5 - 10 March 2000, Houston, Texas, USA.